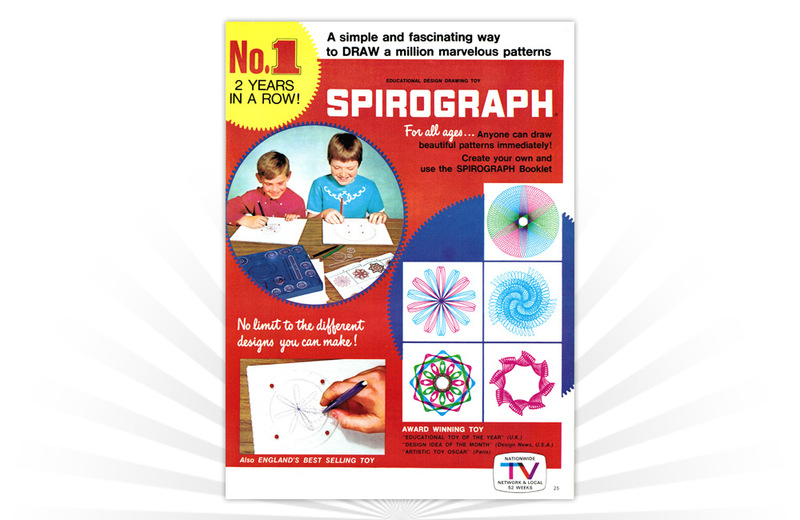 A mashup of educational toy, creative design tool, mathematics lesson, arts-and-crafts project, Spirograph was first marketed in the UK and migrated stateside in 1966. With a shelf-life approaching 50 years, Spirograph’s longevity can be traced to its simplicity and the fact that it taps into a child’s desire to draw and doodle. This vintage advertisement appeared in a 1971 Kenner sales catalog. Marketed as the “car with a brain,” Hasbro’s Amaze-A-Matics were battery operated cars that moved forward, backward, left, and right based on program cards that were fed into the bottom of the car.